Leeward real estate for sale says Hi ! 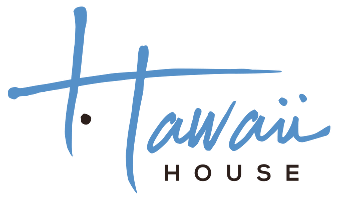 Updated every hour from the Oahu MLS (Leeward and Waianae homes, condos and land for sale). Leeward Oahu is also commonly called the Waianae coast because of the Waianae mountain range. Beautiful beaches dot the path along Farrington Hwy, the major artery serving this coast. Generally the areas have more affordable homes, agricultural land and some condos. Communities include Waianae, Nanakuli, Lualualei, Maili, Makaha. Seller is selling both business and properties!Seller will assist new owner setting up business during transition!Sale price includes two parcels of land (870030290000 and 870030680000) total 5.441 Acres; includes one 2912 sf single family house (4 bedrooms+2 study rooms/5 bathrooms);includes business improvements( 3 free standing buildings as ware house/storage/office/ garage/working area total over 6800 sf and commercial greenhouse about 100,000 sf); includes nursery business(inventory excluded. Seller will keep the right of using the import license associated with this business. Detail terms to be determined). The nursery business ( Inc) was established since 1993 and in good operation for over 26 years.Concrete drive way, parking and loading zone. MLS combined both parcels information. Unobstructed Direct OCEANFRONT Legacy Property. Opportunity to own this stunning palatial Makaha home on the Waianae Coast. The Panoramic ocean views are endless from the enormous covered lanai to the updated luxury interior. The property is large enough to hold a wedding, corporate event or just to host the extended Ohana. No expense or upgrade has been spared from the 26 NEM OWNED SOLAR PANELS to the enclosed exterior custom bar with plumbing and electric. Mature landscaping surrounds the gated property offering parking for 11 vehicles in front. The home is set back from the ocean and protected by a solid rock wall with custom drainage. Hear, smell and see the Ocean from almost any location in the property. Unique opportunity to own 4.53 acres of agricultural land that includes a 1737 sq foot single level home built in 2008, double-wall construction. Very private and ready for living and agricultural usage. Development Opportunity! Property consist of three CPR lots, each with their own TMK. Zoning allows three separate homes to be built on each lot. Entire property has direct views of the Pacific Ocean. Two of the three lots already have homes on them. Both homes have outside decks that allow year round sunset views. The neighboring parcel next door took the same concept and developed/built two new homes. A MUST SEE, A beautifully renovated home with right of away and walk distance to Turtle Beach in quiet neighborhood, no noise from the main road. Can be 2 family living, or live in one and rent the other, separate entrances. Split AC and Solar Heater. Wall fence around the property with outdoor entertainment area good for get together with family and friends, mature delicious mango tree. Fully renovated bonus room with wet bar in the back area, good for party room. Sq. Ft. may not conform with Tax record. Buyer & buyer's agent to do their own due diligent. Come and check out this huge 2.1138 acres of property with dual zoning. The 5,000 sq ft residential land has 4 bedrooms, 2 1/2 bath. There are also add'l rooms for your extended family which you can simply use as a bedroom, office or an exercise room. The other 87,085 sq ft is AG-2 Agricultural. This property has a beautiful view of Koolina and Ocean. If your dream is to build a home close to the mountain top, then this is the place for you. You can replace the existing home and build new just like the neighbors. Please note that bathrooms differ from county tax record. PROPERTY TO BE SOLD "AS IS". Come home to your own private oasis! This home, situated within a cul-de-sac on a rim lot, features 2 separate pools - 1 plunge pool (12-feet deep) and a lap pool (4-6 feet deep) with a waterfall; this home is the entertainer's dream! The home also features 3 large bedrooms (two separate masters - one upstairs and one downstairs) 4 full-sized bathrooms (one outside near pool) and a 26-panel pre-paid solar photovoltaic system (yes...I said PREPAID!). The home also features a 24-hour video security system, large second-level lanai in backyard, new washer and dryer, industrial grade gas stove with separate range hood and built-in wet bar! The home is located within walking distance of Leihoku elementary school and within a mile of Starbucks, Longs, and other shopping. Great opportunity to own a wonderful 3.8 arces farm land with 2 bedrooms/ 1 bath older home. Build your dream home with beautiful fresh fruits and vegetables. Number of bedrooms does not agree with tax office. Sold 'AS IS'. Clean, Beautiful End Unit Home sits on one of larger lots in Newer Development. Prevalent Ocean, Mountain & Sunset views from nearly every window. Nice Laminate flooring, Split ACs, granite counters, Stainless Steel Appliances, upgrades such as Plantation Shutters thru-out, PV, Solar H20, Security & Alarm System. Spacious 2-car garage with additional parking in driveway, & lap pool plus jacuzzi/tub in back, private, fully fenced yard. Two bedrooms with two full baths & kitchen upstairs, as well as a bedroom, full bath & kitchen area downstairs. Multiple possibilities for additional rental income or multi-generational living. Conveniently located 10mins from resort conveniences of Koolina /Kapolei, but secluded enough to be your own tropical oasis. Open House THU 4/4 10:30am-12:30pm. Green Homes at Lualualei in Waianae is a Nanakuli community that was built in 2016, nearly new, located across the street from the beach. Mountain and ocean views can be seen from all around the house. Gated, low maintenance yard, great for entertaining. Two car garage and room to park 2 additional vehicles along side the house. Bedroom, bathroom with step in shower and small kitchen are on the first floor. Two bedrooms and two baths, open kitchen, living room and lanai are upstairs. Central A/C. Living room has built-in cabinets, flooring is Koa laminate, kitchen has stainless steel appliances and granite counters. Near the public library, schools and shopping areas. Hawaiian perfection! Sun, surf, sand, sunsets and stargazing! The Makaha secret is out and this superb home delivers all the natural splendor and all the modern appointments. Double-pane windows and Central AC keep you peacefully cool. Stainless Whirlpool appliances simply get the job done and look great doing it. Beautiful solid counters and cabinets throughout the home and wood laminate flooring all downstairs and in the upstairs halls. Generous upstairs living room can easily be converted into a 4th bdrm if desired. And a lava rock fireplace out back for cool winter nights. American Home Shield Combo Plan included! Seller will entertain a VA Loan Assumption for appropriate VA Buyer. Wonderfully kept 4 bedroom home with bedroom and full bath on main level. 28 owned solar panels and transferable warranty for low, low electric bills! Home comes with central air and is located on a quiet corner in Sea Country. Just minutes to beaches, association pool, parks and recreation areas. The private backyard has plenty of elbow room and storage shed. An enclosed sun room/patio has 3 sliders, window & slate flooring. Enjoy your favorite beverage and surrounding valley views from the lani off the master. Upstairs offers a great open office/rec space or 5th bedroom. Generous garage and street parking. Close to schools, play fields and shopping center. The large front porch offers area for shoes, plants and seating. Move in ready with all appliances. Enjoy the best weather on Oahu! PRICE REDUCTION: TRUE ISLAND LIVING !! NO NEIGHBORS BEHIND !! TASTEFULLY RENOVATED, 2 STORY SPACIOUS HOME WITH OWNED 34 PHOTOVOLTAIC PANELS. 5 BEDROOM, 3 FULL BATHS PLUS . MULTI GENERATION HOME WITH 3 BEDROOM 2 FULL BATH AND FULL KITCHEN, LIVING ROOM AND DECK ON SECOND LEVEL. 3 BEDROOM, 1 BATH AND LIVING ROOM ON FIRST LEVEL WITH INDEPENDENT ENTRANCE TO THE FLOOR. SWIMMING POOL, DECK, PLAYHOUSE & ENCLOSED WRAP AROUND YARD. GARAGE WAS MODIFIED INTO ADDITIONAL LIVING SPACE. TOTAL SQFT OF HOME IS NOW ALMOST 2500 SQFT. SPLIT AC'S INSTALLED IN EVERY ROOM. NEW ROOF. SEE LIST OF UPGRADES UNDER SUPPLEMENTS. EASY TO SEE WITH 24 HRS NOTICE. Price Improvement! Welcome home! Need space for your growing Family? Come see this Spacious 2,776 sq ft home. Lounge around in the extended living room area and enjoy the sunsets beaming from the backyard. A "Super-Size" master bedroom which has its own living room area and ADA bathroom on 1st level for any family members who don't prefer stairs to walk up and down from. The open kitchen gives plenty of room for entertaining guests around the upgraded Granite counter tops and hardwood cabinets. The split A/C units will keep you nd your family and guests cool during throughout the summer months. Note: Some pictures are Virtually staged. Unlimited possibilities! Extra spacious family home on a larger than usual lot at end of cul-de-sac. This immaculate home has a generous & flexible floor plan that will appeal to those seeking a multi-generational/multi-family living home. The 1st floor offers 2 large bedrooms, 2 family rms, 1.5 bath with walk-in oversized shower, a storage/den area, & separate entry. The 2nd floor has a large Master suite & bath with its own private lanai area, 2 addl bdrms, full bath, and yet another family/game room. Recently remodeled in 2015, this wonderful home offers ample storage areas, huge bedrooms, private yard areas, and a driveway large enough for a boat & multiple cars. Enjoy the cool trades, ocean & mountain views from various rooms in this very special home. A great buy! Move in ready, upgraded, spacious 4 bdrm home in Po'okela, Sea Country. Family and visitors will enjoy the welcoming bedroom and full bath downstairs with its own private entrance and side yard. 27 panel, leased PV system (buyers can purchase system),new ceiling fans and blinds; new vinyl flooring in the living area. Interior tastefully painted designer colors making the home warm and welcoming. Home is located at the end of the culdesac; long driveway to fit up to six cars. Landscaped back yard with a huge open lanai making for hours of fun or relaxing and gazing at the nearby mountains. Fenced and gated. No homes behind the property. Enjoy short walks to the beach to watch the sunset or hike the nearby mountain trail. PLEASE WATCH VIRTUAL TOUR - YOU WILL WANT TO SEE THIS HOME . Beautiful custom 4 bedroom 3 bath built home in 2015. Designer details throughout the home will make this feel like the home of your dreams. The home features granite countertops, stainless steel appliances, ceramic tile flooring, walk-in showers,central AC, and covered lanai. The luxury bathrooms with custom tile elements will take your breath away. Gated CPR community with large driveway to park 3+ cars. Close to beaches and shopping. Make this your piece of paradise today. View 3D interactive video tour in virtual tour section. Quiet neighborhood, beautiful single family home in Sea Country with 2 car garage and driveway. Shows pride of ownership. Home features central A/C, solar hot water system, second leaving room area upstairs. Relax in your beautifully landscaped yard with covered lanai, fruit trees and retractable canopy for entertainment. First open House on 03/24. Spacious lot with over 15k sq ft; R-5 zone. Lots of potential. Photovoltaic owned. Do not disturb tenants. Call listor or co-listor for more info and showing. Motivated Seller! Spacious five bedroom Duplex in Maili. It is currently configured as three separate living units. The ground floor unit is a 1 bedroom/1 bath, another ground floor studio located in the back, and top floor unit is a 3 bedroom/1.5 bath. Downstairs units can easily be converted back into a 2 bedroom 2 bathroom home if desired. Upstairs and downstairs has its own electrical meter which makes it easier to manage utilities and ideal for the extended family or investors. Nice spacious backyard with mountain views. Lots of space for parking including a boat. Nearby community park, shopping centers, restaurants, and school.